Hello Beauties! As you've probably guessed from the title of todays post, it's a product I'm absolutely in love with. I feel like saying something is a 'holy grail product' is much like the 'I Love You' of the blogging world, it's tossed around far too frequently now and has lost it's meaning a bit for me - but this product has definitely gained my 'holy grail' seal of approval. For ages now I've been looking for a long lasting foundation that will help control my oily t-zone on long work days, and something that will take me from day to night without having to take off all of my make up and re-apply - because honestly who has time for that if your nipping out for after work drinks. Once again, MAC has come up with the goods. Recently I've rediscovered my love for MAC again, any problem I want to tackle, they seem to have the make up for it, as long as your prepared to pay for it, and for a good foundation I'm willing to pay. I feel like if your going to splurge on anything, it should be your base products as they're the setting for the rest of your make up and can drastically improve your overall appearance. 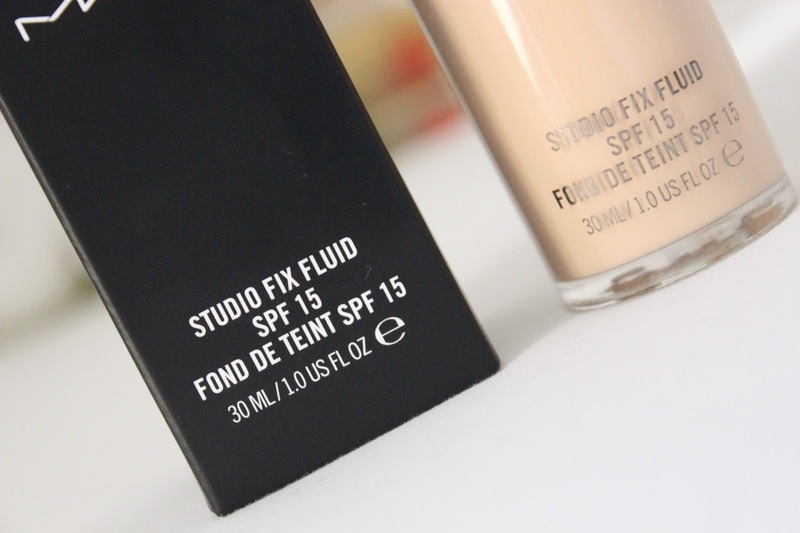 MAC Studio Fix Fluid is a matte, medium to full coverage foundation that comes in a wide vareity of shades, which is something I personally love about MAC foundations. I have very pale skin with a pink undertone, so finding a shade to match my skin in Boots is near on impossible. I was going to just purchase this online, however I'm so glad I made the decision to brave the MAC shop on a busy Saturday and get colour matched as it turns out I've got paler than I was before, not really what I wanted to hear but I can roll with that if it means I can get rid of the horrible orange tide mark I get from most foundations. The girl who served me was really nice and really knew her stuff which always helps, after a skin consultation and colour match I happily marched out of the shop with my new foundation in NW13, one of MAC's paler shades. Before I reviewed this I really wanted to test it properly to see if it would last on my skin and I can safely say it does. I've tested this on a sunny day sunbathing in Hyde Park and several long work days and I can honestly say that no other foundation I've tried has lasted this long on my skin. Usually I need to powder by 10am and my foundation is already looking patchy if I'm working due to the stuffy heating and being sat right by the printer which kicks of so much heat, but the Studio Fix Fluid was still firmly in place and hadn't gone patchy at all. I did touch up my powder just on my nose at around 2pm after putting my make up on at 7am, which I think is really good going for someone who is currently suffering with combination to oily skin, and when I returned home at around 7pm it was still all in place, admittedly looking a little bit shiny and lived in but still very much presentable. 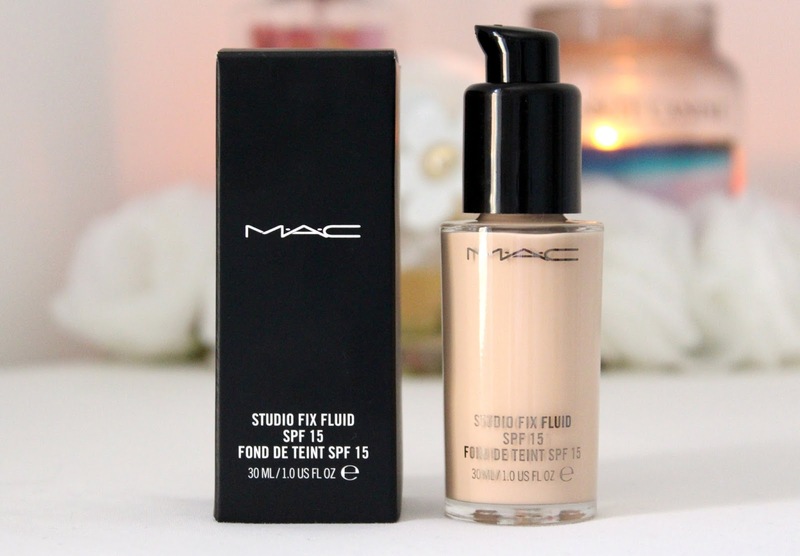 Once concern I had with this foundation was that it would break me out as its such a full coverage foundation, and I've also heard a lot about MAC foundations causing breakouts but my skin has actually been better than usual since I started using this. Obviously this isn't due to the foundation as it has no skincare benefits, except containing SPF 15, but it hasn't broken me out so if you skin is breakout prone like mine, this foundation won't necessarily cause a breakout, but this will be different for everyone. The only issue I have with this foundation, which is more of an issue I have with MAC than the product, is that it doesn't come with a pump. I think if your spending over £20 on a foundation, it should at least have a pump - drugstore brands manage this for half the price! I did buy a pump, because personally if I'm spending that much money on something I don't want to risk wasting it, so spending the extra £3 isn't completely pointless, but I don't think I should have to spend this to not waste my product. Overall, I'm so pleased I took the plunge and bought this foundation as it gives me a flawless matte coverage and stays in place all day. It manages to cover all of my redness and spots and is a perfect match for my skin, not something I find easy to achieve being so pale. I'd really reccomend this to anyone with an oily t-zone who is fed up of having to powder throughout the day, as it's really solved such an annoying problem for me. Snap! I have this (in the same shade too), and I'm pretty sure I've used it everyday since the first purchase back in October. OMG if there is one thing I need its a foundation that lasts all day long! I'm not too keen on high coverage foundations but I may need to get a sample of this because that sounds amazing! This foundation literally sounds like heaven to me. I'm more of a sheer coverage, drugstore foundation girl for everyday but I prefer something more medium-buildable coverage for evening and this sounds wonderful. I've been looking for something like this, something that is long-wearing and suits combination skin. 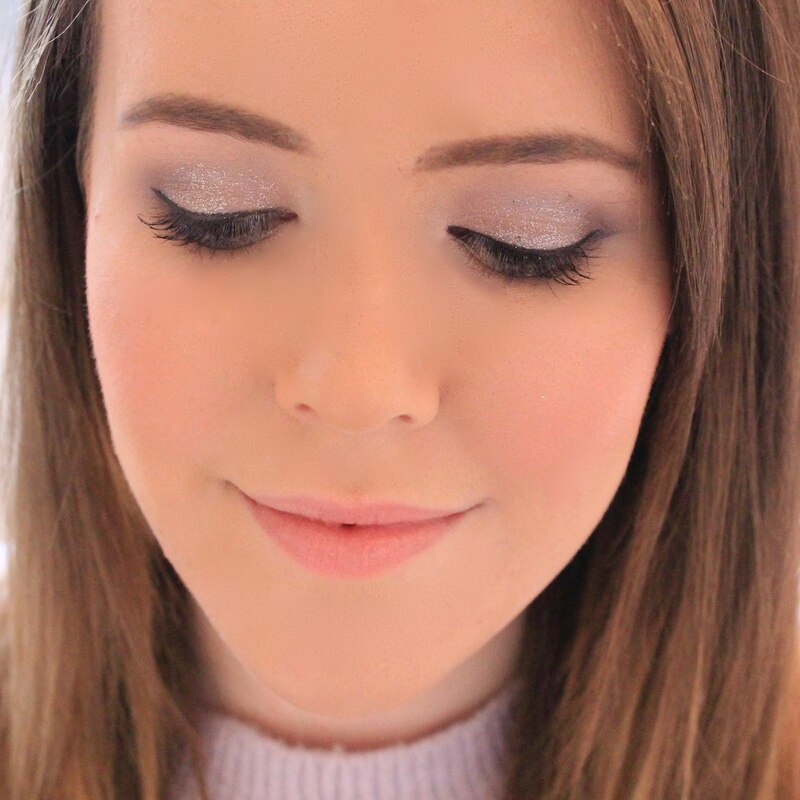 Daniela xo // click here to enter my MAC giveaway - ends tomorrow! 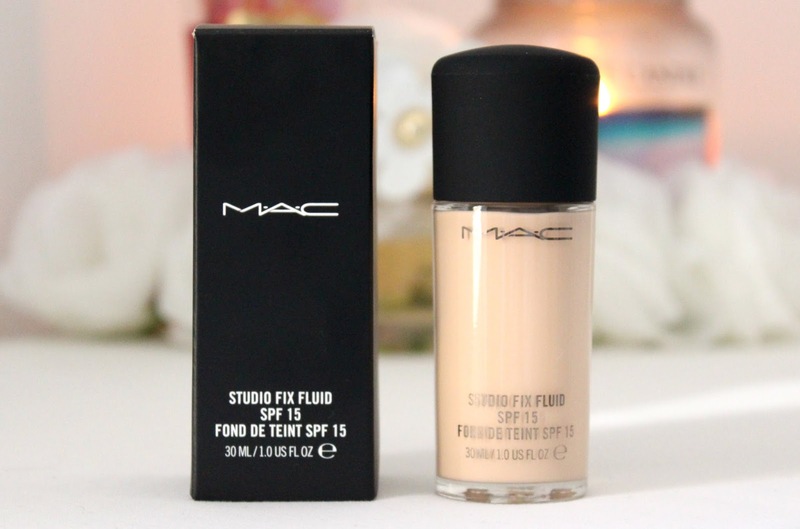 I haven't used a Mac foundation is YEARs and I'm really tempted lately… maybe it's time for a trip to the Mac counter! What an amazing review and something I might try in the future. I really need to invest in a good foundation and this might be it.